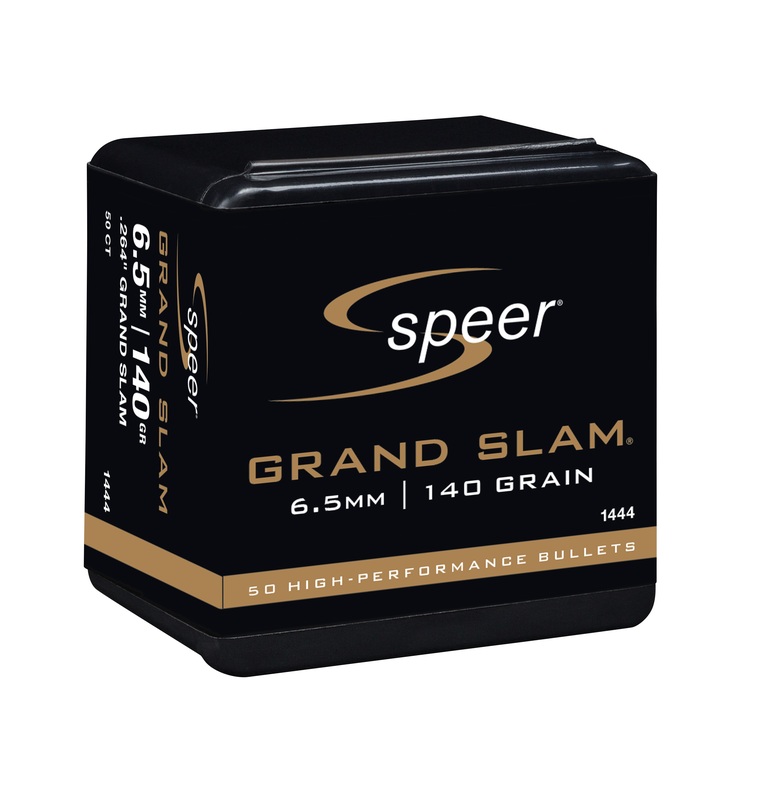 LEWISTON, Idaho - April 4, 2018 - Speer is happy to announce it will offer new calibers of Grand Slam hunting rifle bullets for reloaders. 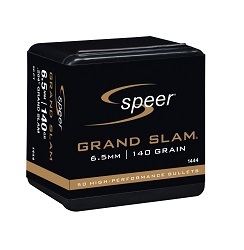 The already expansive line now includes a 140-grain 6.5mm, 100-grain 243 cal. and 120-grain 257 cal. Shipments are being delivered to dealers. With a tapered, precision-drawn jacket and a long nose, Grand Slam is engineered to blow through the thick hides, heavy bones and tough bodies of the world’s biggest game—without sacrificing accuracy. On impact, internal jacket flutes allow consistent expansion, yet the bullet retains most of its weight for deep penetration every time.